Lemongrass, is a perennial grass in the family Poaceae grown for its fragrant leaves and stalks which are used as a flavoring. The grass grows in dense clumps and has several stiff stems and slender blade-like leaves which droop towards the tips. The leaves are blue-green in color, turning red in the Fall and emit a strong lemon fragrance when damaged. 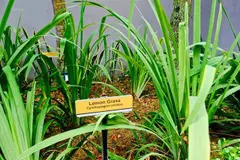 Lemongrass may also be referred to as ginger grass or citronella grass. Care Instructions Lemongrass thrives in full sun. Give this herb rich, well-drained soil. Amend planting holes with composted manure to improve fertility and enhance the soil’s ability to hold water. 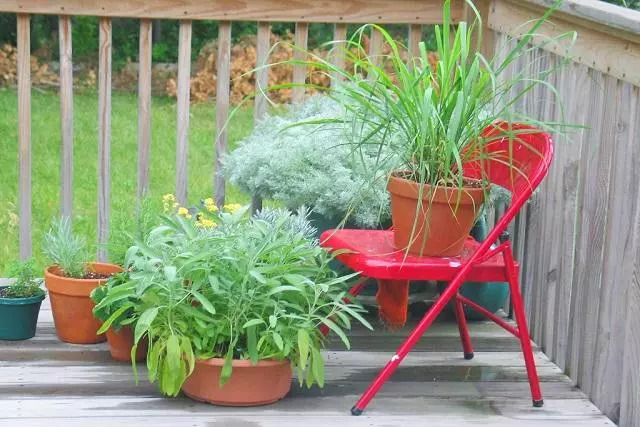 If you’re adding several lemongrass plants to planting beds, space plants 24 inches apart. 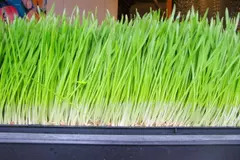 Provide a steady supply of moisture for best growth—don’t let lemongrass roots dry out. 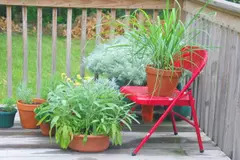 Fertilize plants during the growing season every couple of weeks. Medical Benefits An aromatic healer, it helps in digestion, cleanses, detoxifies and controls cholesterol levels. Anti bacterial, it fights cold, flu and infections. Mosquito repellent. Fights cancer, respiratory disorders and arthritis pain.